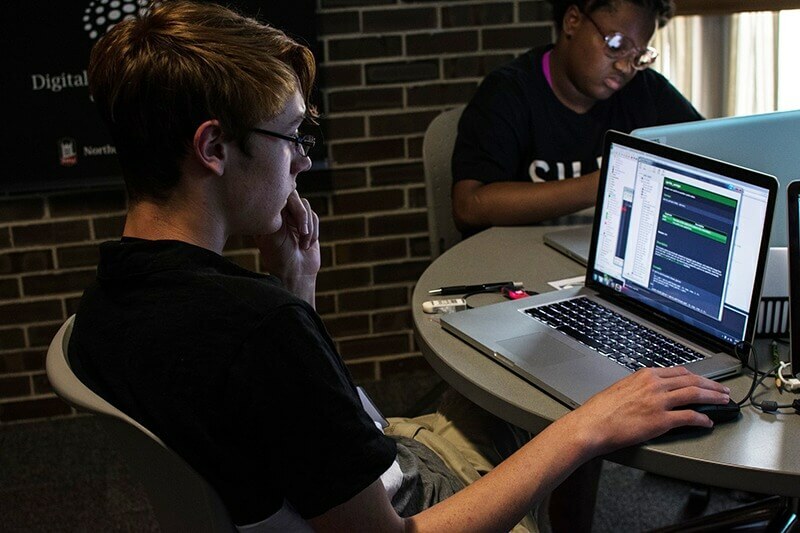 This summer, the Digital Convergence Lab at Northern Illinois University will offer seven weeks of video game design camps for middle school and high school students, including four weeks of affordable day camps for students entering grades 5 through 9. “We think summer camps should be fun, and kids like video games, so we kind of hide the learning in the fun – like hiding fruits and vegetables in a cake,” says Aline Click, director of eLearning Services and co-director of the Digital Convergence Lab at NIU. Each of the one-week camp sessions focuses on a particular game, tool or design software, but they are united by common skills and goals. In each, students will learn the essentials of video game design – from developing a game story and characters to designing the game interface, sound effects, goals and rules. With many teachers supporting each camp (about a 4 to 1 student-to-teacher ratio), the students will be able to work independently on their games and teachers will step in to answer questions and troubleshoot when needed. Click says the camp directors try to use software and games that are freely available to kids so they can continue to build their games at home. However, campers are also introduced to some new and exciting tools, such as the Wink2 robots that will be part of the Robotic Programming and Video Game Design Camp from Monday, July 9 to Friday, July 13. At just $250 per week, the day camps are designed to be affordable for local families. Registration and information about video game coding camps are available online at http://www.dcl.niu.edu/ or by phone at 815-753-0673. A full, searchable list of summer camps offered throughout Northern Illinois University is available at http://www.niu.edu/summercamps.